TheGrassSeedStore.co.uk recognised the birth of online seed sales and is now over 11 YEARS OLD (with almost 25 years in the trade). Here’s to another 25 years and all the new advances the next decade brings. 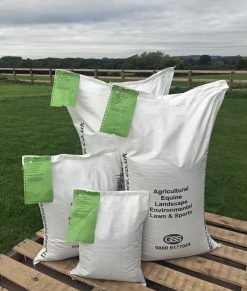 GSS Direct Ltd (Formerly: The Grass Seed Store Ltd) is a dedicated internet company trading solely on-line to supply end users with a high quality product MIXED. PACKED AND DISPATCHED TO ORDER which is then quickly delivered directly via a UK carrier network. Every order and customer enquiry receives nothing less than 100% of our attention. We stock all of the individual grass species listed on our website at our processing plant. These are held in bulk lots ready to be blended, packed and dispatched on demand. All seeds are mixed in accordance with FERA (part of DEFRA) seeds processing regulations and meet all standards and requirements of purity and germination. Every seed lot reference number and mixture of seed lots is recorded for assurance of traceability. If there is anything GSS Direct Ltd can do to be of service please CONTACT US at any time.